Hedgehogs are small animals with prickly spines everywhere except on their face, legs, and belies. By curling into a tight ball they protect those parts of their bodies that do not have sharp spines. 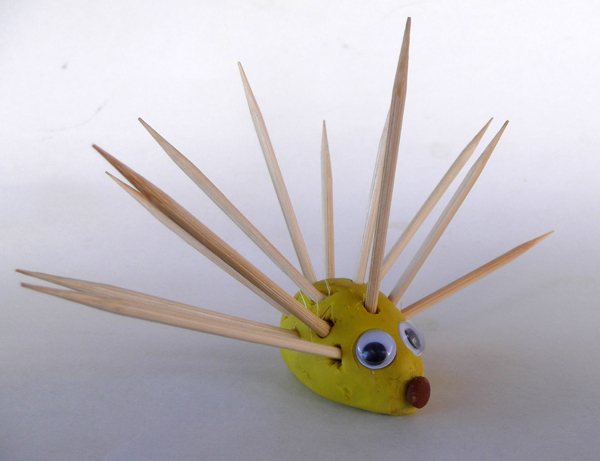 Try to make small, cute hedgehog using play dough, plasticine or other modeling clay. 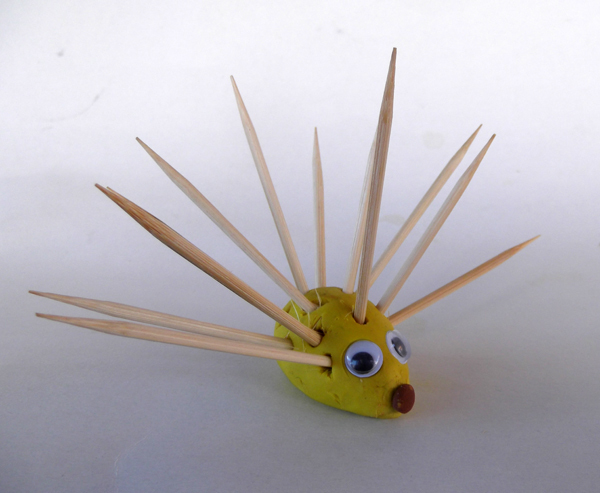 Of course you should add toothpicks or other wood sticks because hedgehogs depend on their spines for defence. 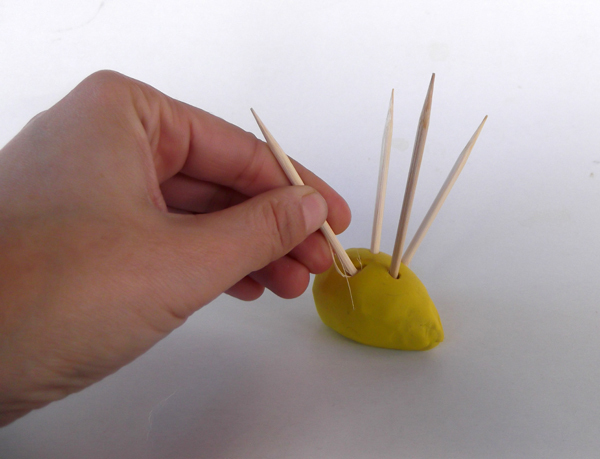 - Toothpicks or other wood sticks. 1. 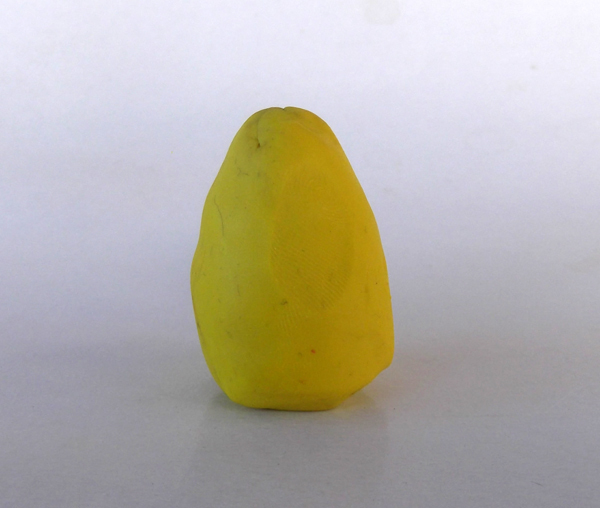 Form a small lump of playdough into a cone shape. 2. Flatten the bottom by banging it on a table or hard surface. 3. 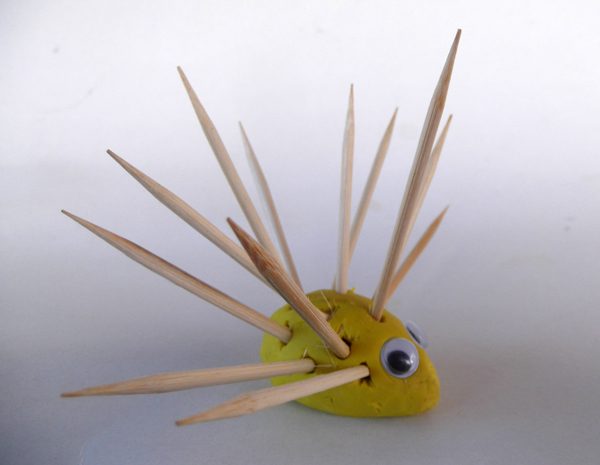 Use toothpicks or other woodsticks to add the spikes. 4. Push the googly eyes into the narrow end. 5. 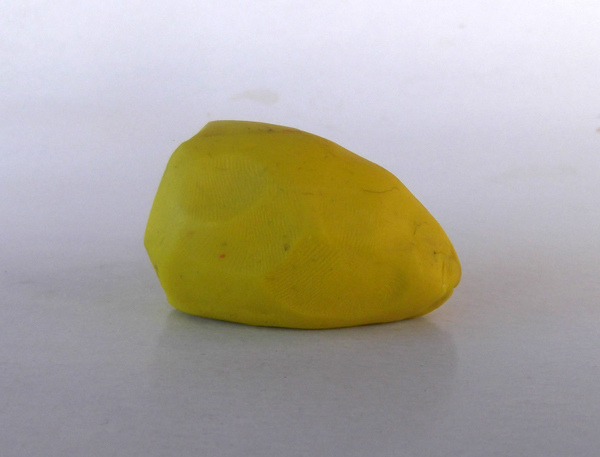 Add a small play dough sphere for nose.